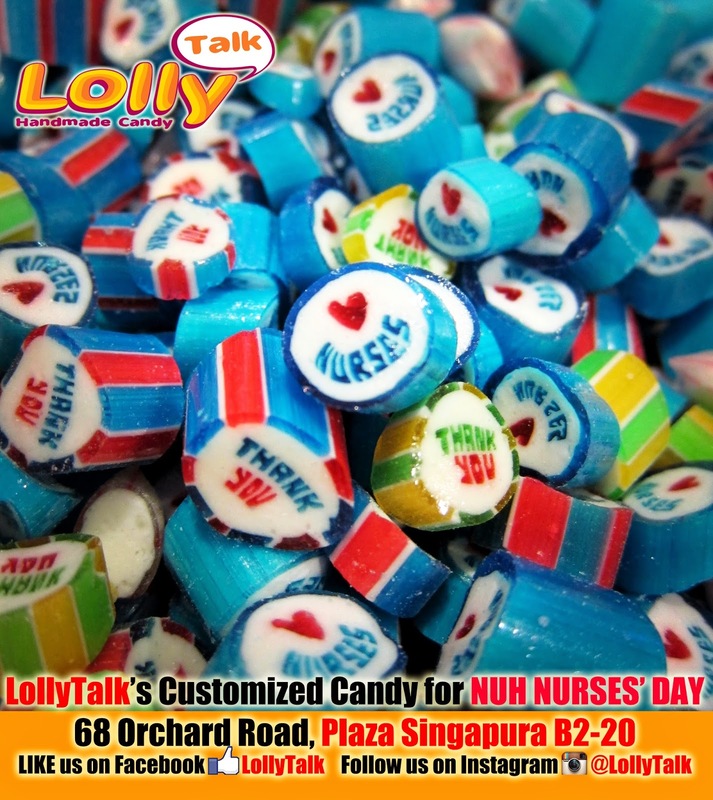 Candy Gifting... by LollyTalk: Nurses Day with LollyTalk... Ideal corporate gifts for various festive seasons! 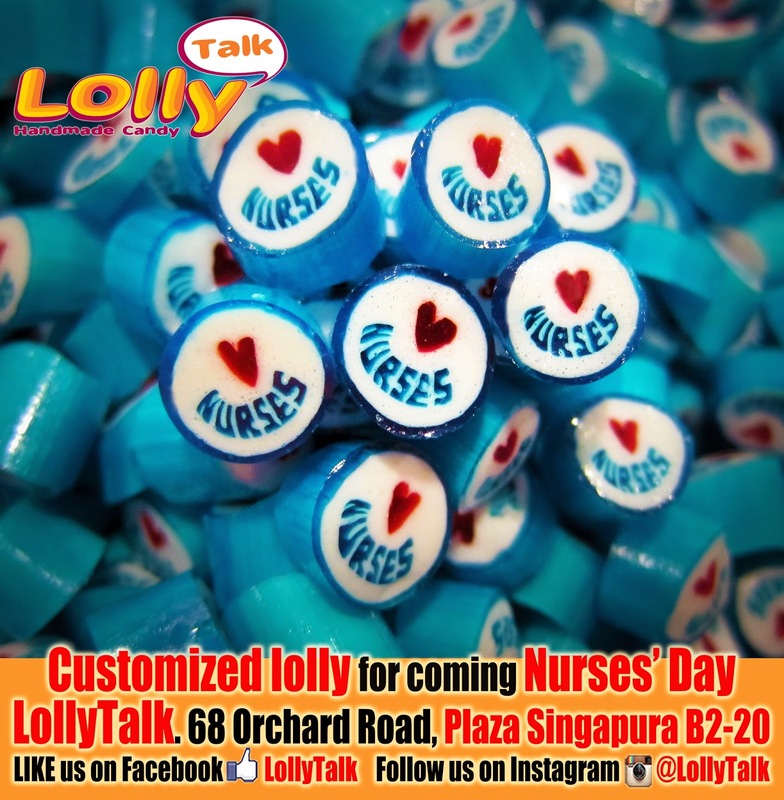 Nurses Day with LollyTalk... 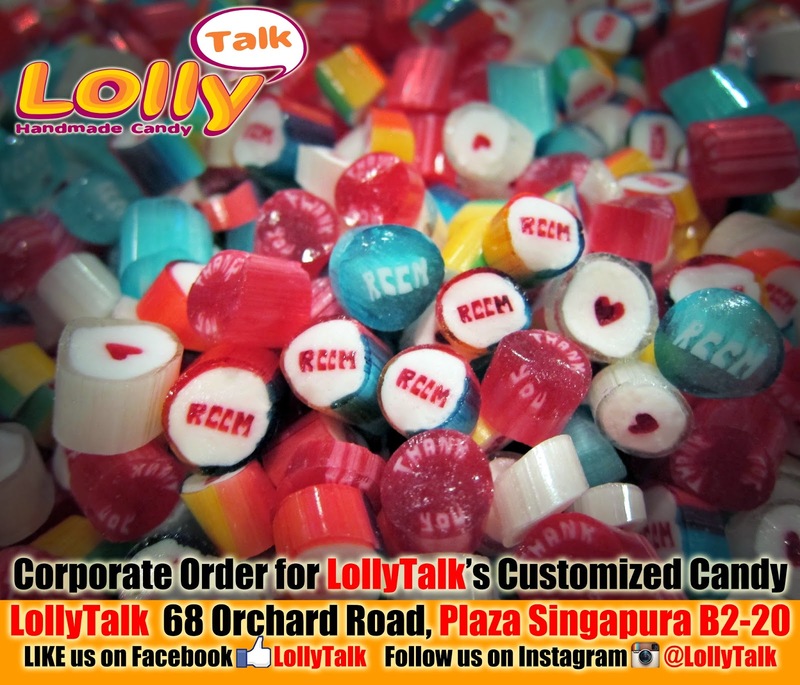 Ideal corporate gifts for various festive seasons! 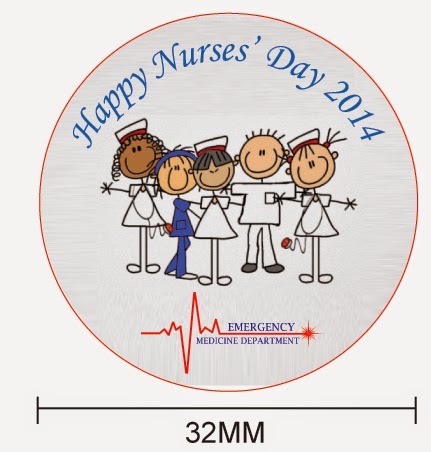 Nurses' Day falls on 1st August in Singapore. 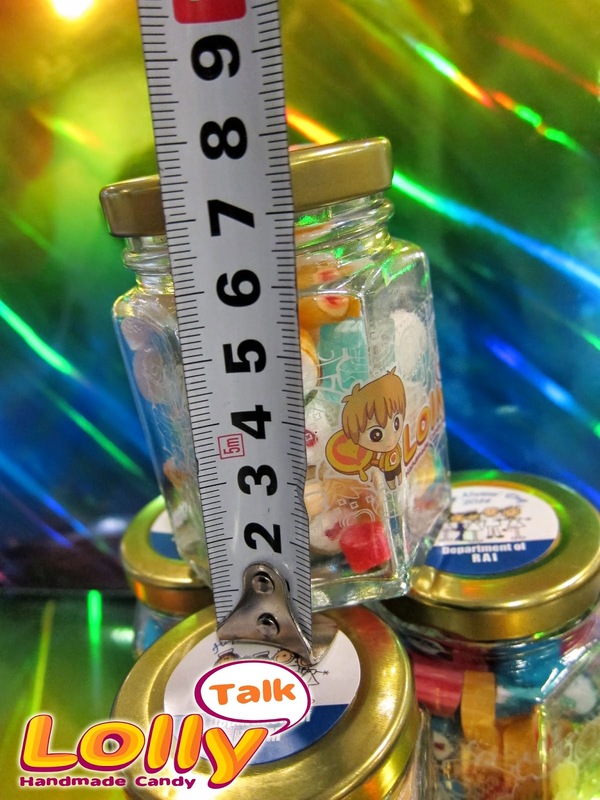 LollyTalk, being very well received by all professionals of all walk of life... becomes the obvious choices when various hospitals and pharmaceutical companies need to look for something sweet as a gift to these noble nurses. 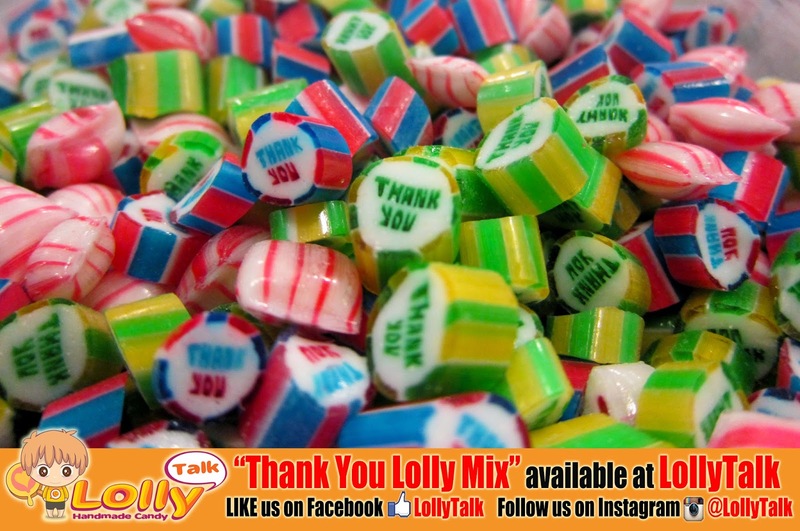 The "THANK YOU" Lolly mix by itself already contained 3 flavours and 3 colours beautifully blended together, and it blend in well with the customized lollies with flavours complimenting each other too. Due to the size of the staff strength, NUH decided to have the mix packed into 20g bags of resealable ziplock bag. 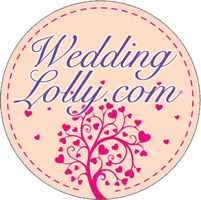 That eases the work of the distribution of the lollies to the mega staff strength the hospital Emergency department has. 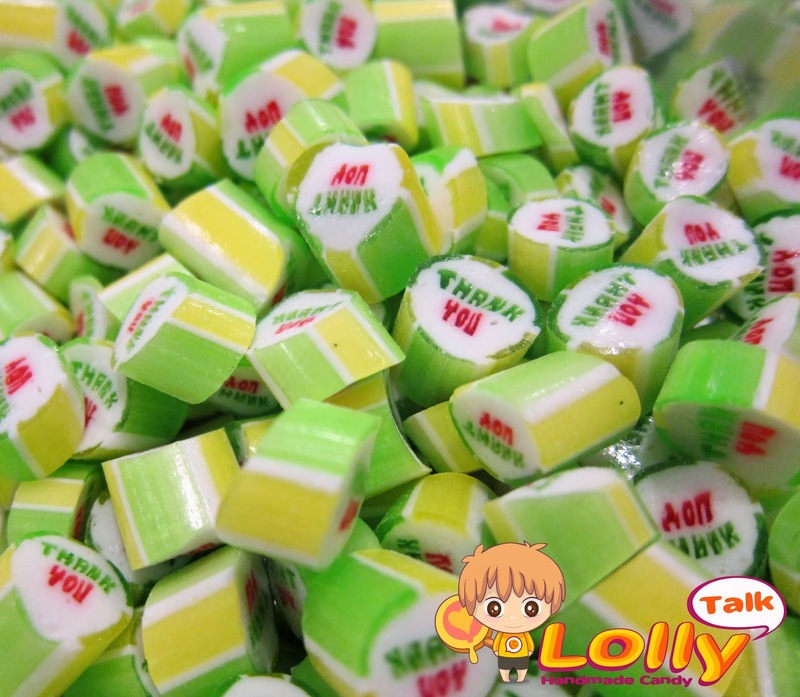 And Mundi Pharm chosen from our existing range of readily made lollies such that more variety, more flavours and more design can be mixed together to form a beautiful mix. 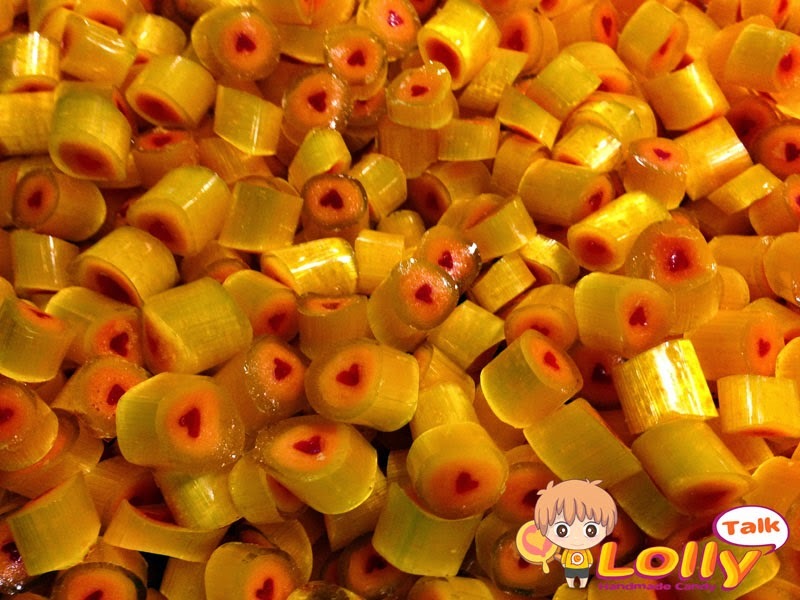 Together they formed a very beautiful and delicious mix. 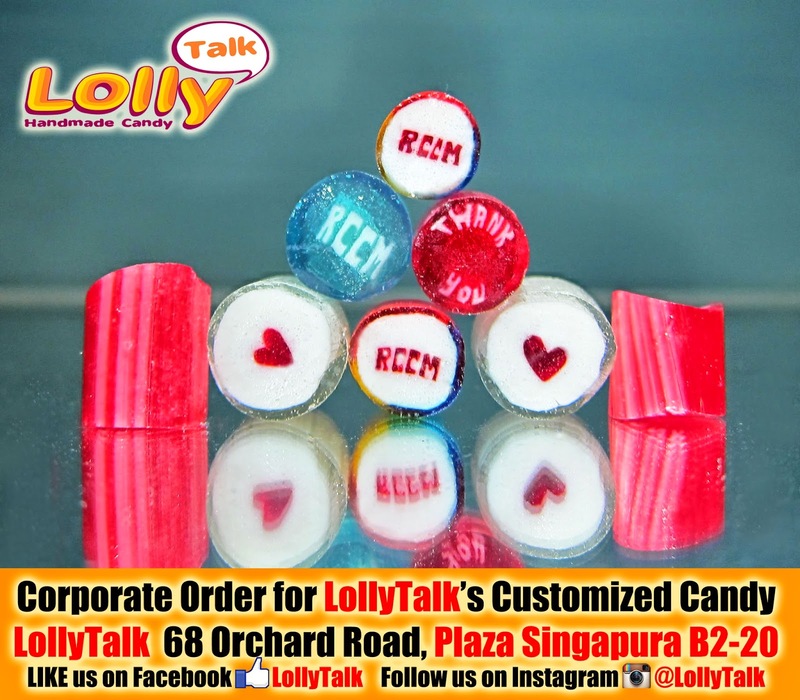 Yet another hospital Tan Tock Seng Hospital, also chosen LollyTalk handmade candy as their appreciation gift for their Nurses in both RCCM and RAI departments. 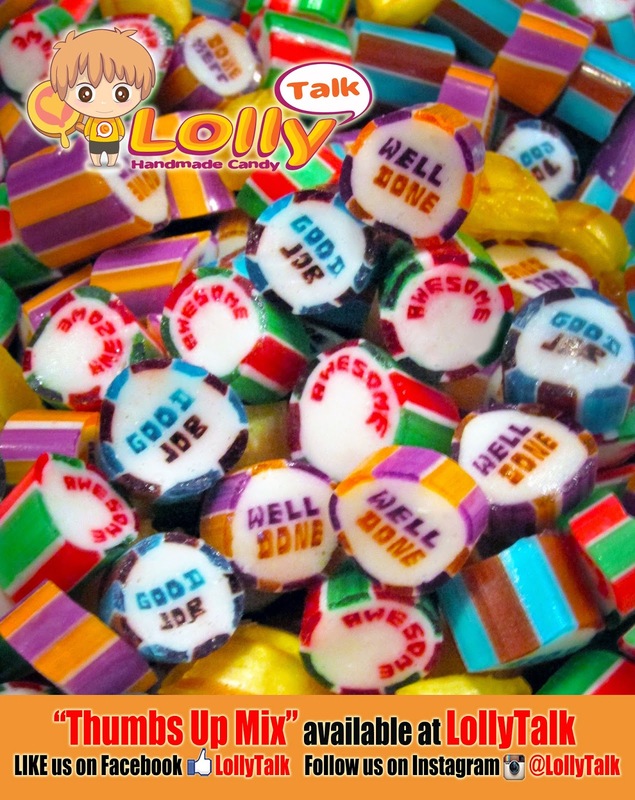 Both departments share some of the customized lollies while maintained differences in some of the selection to make the gifts more interesting. 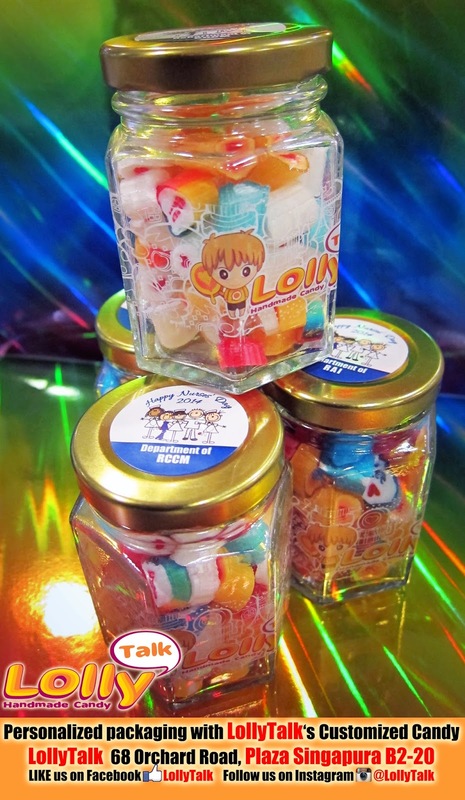 Both the departments have their lollies packed in a 70g hexagonal glass bottles. 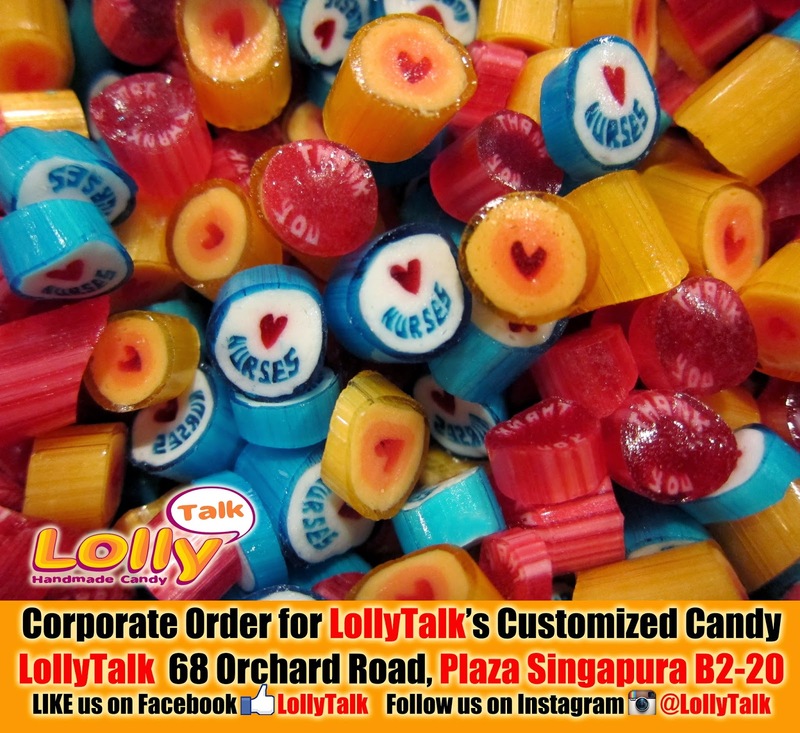 When it comes to customising appreciation gifts for staff of hospitals and leading pharmaceutical companies, they chosen LollyTalk as their premium choice, what about you? A gift made with hands is a gift made with heart.